The collaboration with Giuseppe Digesù, master baker, has created this semolina for baking from Selezione Casillo whose main characteristic is the incredible fineness, which is a fundamental aspect for creating optimal baked goods. 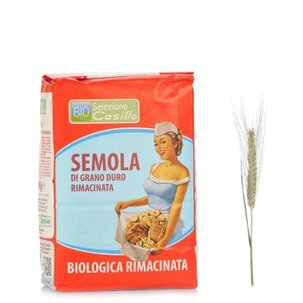 Fine semolina is in fact obtained by grinding durum wheat, a typical wheat characterised by the proteinic structure that is particularly responsible for the friability of the products obtained. It also contains aromatic components that release an intense fragrance and is rich in carotenoids, which are natural antioxidants that are important for your well-being.